Halloween is my most favorite holiday! 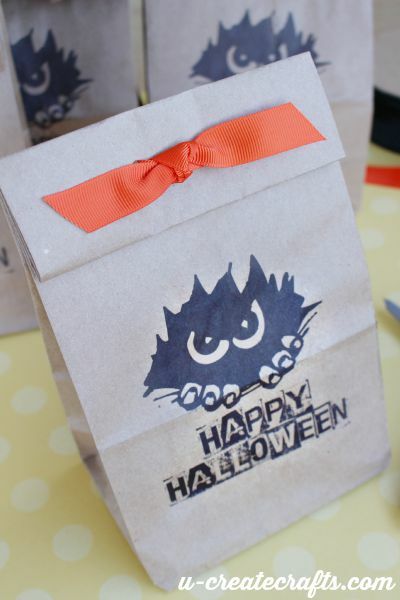 Kari and I have a fun Halloween costume party for our extended family and we get to make fun things for that event. 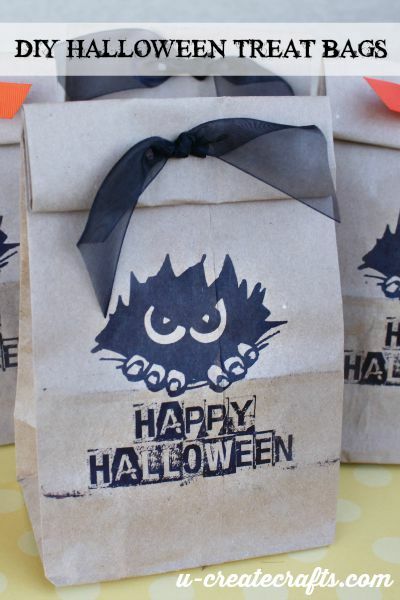 This year instead of buying the decorative bags for the kids treats, I made them with brown paper bags and a simple printable. 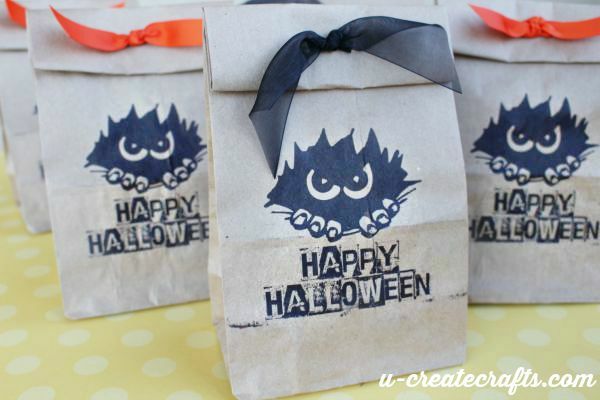 They are so cute and creepy all at the same time…that’s the best kind of Halloween craft! 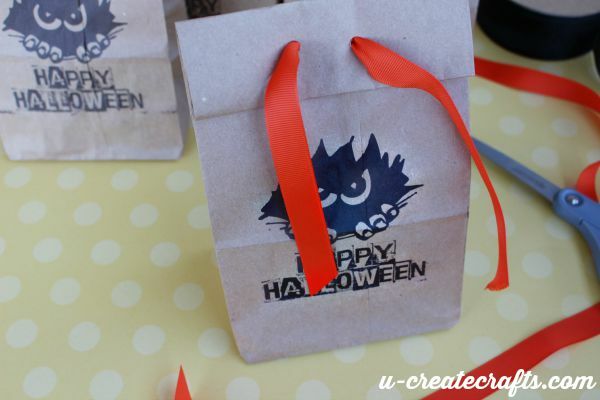 Step #1: Download the Happy Halloween monster printable and print on the paper bags. You will notice the printable file is upside down. 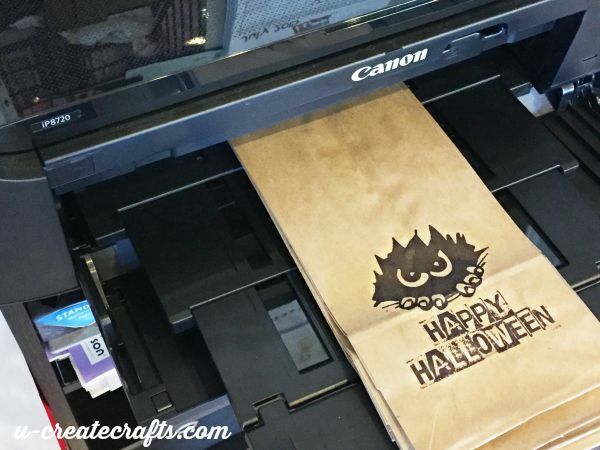 I did that so I could feed the paper bags into the printer bottom first because it’s thicker and would be pulled through better. Step #2: Fill the bag and punch two holes in the top. 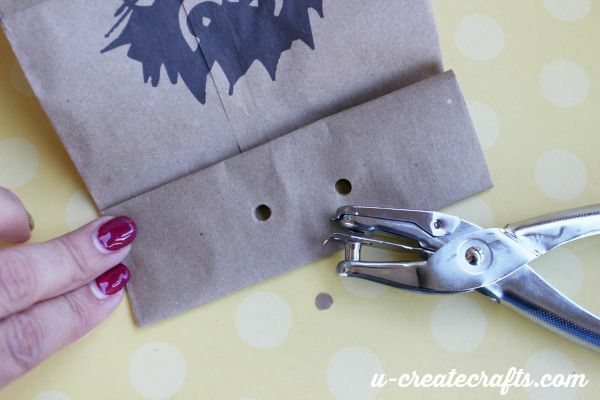 Step #3: String the ribbon through the holes so that the ends both meet in the front. Step #4: Tie a knot and trim the ends of the ribbon. What a super simple and darling little bag, huh? 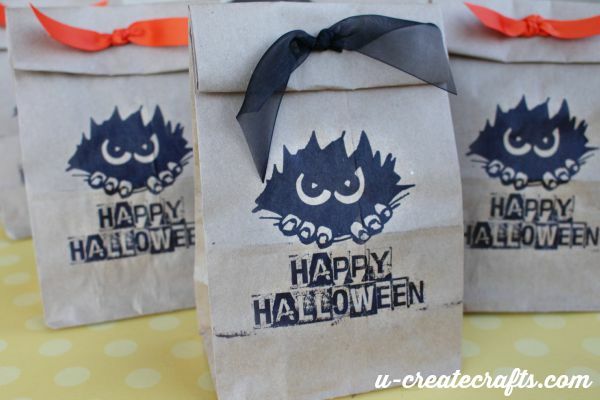 This is going to be perfect for the little ones at the Halloween party. 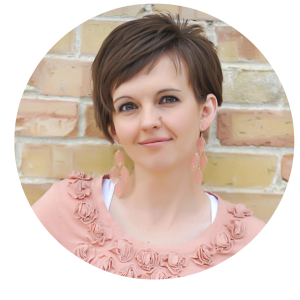 We would love to see what you do with this printable. Take a picture of your finished craft and share it on our Facebook page or tag us on Instagram (@ucreateblog).